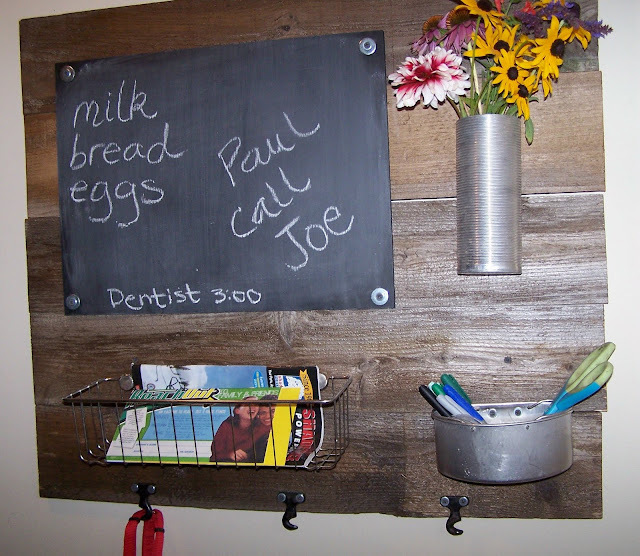 When I started out on this little challenge for myself I did not plan on using all old fence boards for the projects. Honestly, I had no plan at all, which was not the smartest of ideas. I have decided that maybe in the future BEFORE I challenge myself to make x number of projects in x amount of days I should have a general idea of what projects I want to make. 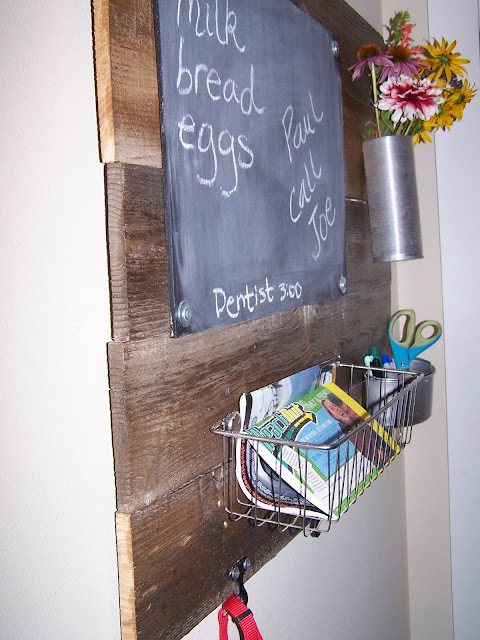 But, thankfully the old fence boards have been inspiring me (I have no idea if they will show up in project #4 or not). The metal basket hangs on two metal chair leg protector thingy bobbers. I used the washers to add a touch of metal to the chalkboard. The metal vase is a thermos liner. Not sure what the hooks on the bottom were from and I love them, but I have a confession--they are not hooky enough to hold much so I will take them off tomorrow and see if I can gently bend them some or modify them somehow. Come back tomorrow to see what project 4 will be (it is a mystery to me too!) and to link up your great ideas to my Under $100 Linky Party. Find more ideas at It's So Very Cheri and Today's Creative Blog and Funky Junk Interiors. Gosh you are clever, I seem to be doing the same challenge, although not intentionally, I just have too many ideas and not enough patience!! Wow, this is wonderful! Love your blog and will go check out the rest of your fun projects now! Visiting from Cheri's party. That is seriously cute!!! 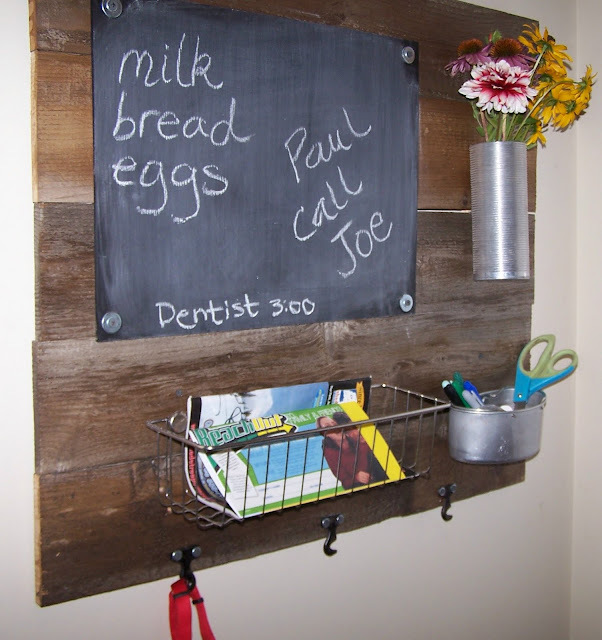 Love the wood & chalkboard! Oooo! Cute and organized just my style. You have such wonderful projects. Love your projects! I too have some boards similar in a wood pile just waiting for some creativity! Thank you for your inspiration! Super cute and very clever! Great idea. I love the old worn boards you used. I wish I had some to make stuff out of. I love this. oh, i really love this! great job!! Love this project! Great job!